The four adults were found dead inside a property management business. Police in North Dakota on Tuesday identified the four victims — two of them a married couple — found dead at a property management company. 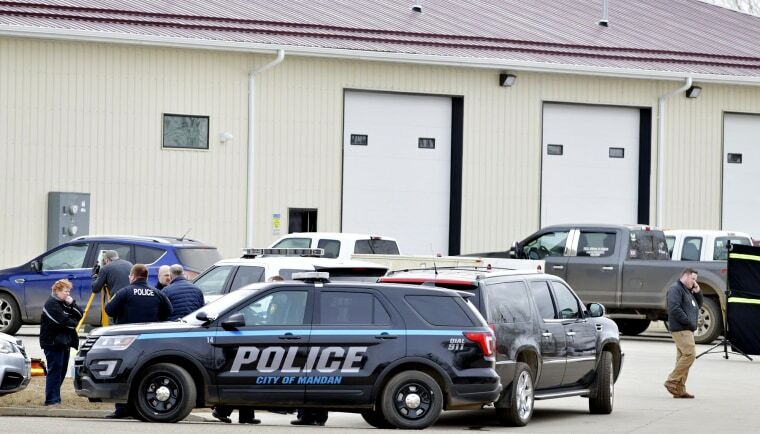 The bodies of Robert Fakler, 52, Adam Fuehrer, 42, Lois Cobb, 45, and her husband, William Cobb, 50, were found Monday inside RJR Maintenance and Management in Mandan, North Dakota. Fakler was the owner and the others were company employees, authorities said. Mandan police chief Jason Ziegler would not reveal how the four victims were killed, but said no murder weapon has been recovered and that first responders initially came to the scene in response to a medical call. Police have revealed few details yet about the homicide, but have said there's no reason to believe a killer is on the loose. No suspect is being sought, authorities said. "This was very specific to the victims that were involved," Ziegler told reporters. "There is nothing at the crime scene that would lead us to believe anyone outside the victims are in any danger." Briann Miller, who lives in Girard, Illinois, identified the Cobbs as her mother and stepfather. Bill Cobb worked in maintenance for the company and Lois as an accountant specialist, according to Facebook pages of the victims and company. Miller said Tuesday that police haven't given her much information. "I just know that it was an attack," Miller said. "I don't know how it happened, what it happened with. I'm left in the dark still. None of this makes any sense. All I know is my parents are gone." There were security cameras inside the business, but he didn't say whether the killing was caught on tape. "We've got a lot of good leads, a lot of good information," Ziegler said. Mandan, a city of 22,000, is 6 miles west of North Dakota's capital, Bismarck. “It's very unusual for the state of North Dakota," the chief said of the killings. "I don't think any community across this great country could ever imagine something like this happening in their backyard." Ali Gostanian and Associated Press contributed.